BOOM! ZAP! BANG! 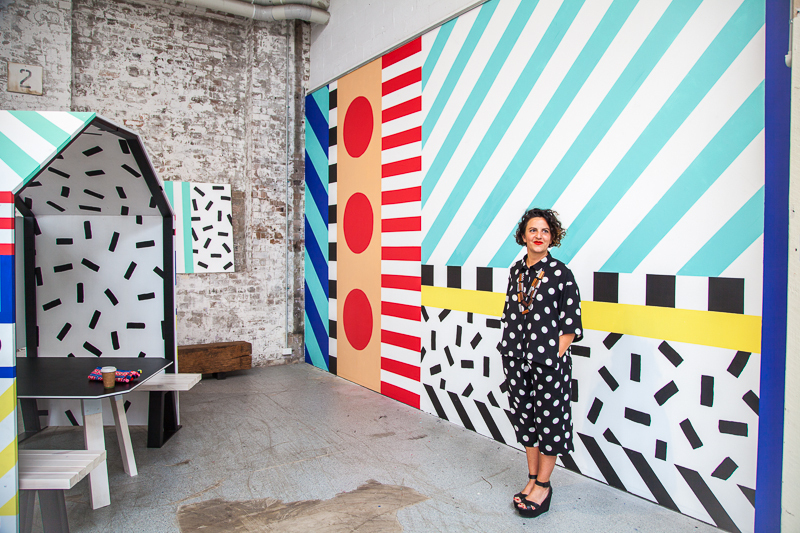 I am loving the graphic art of Camille Walala! It is so electrifying! Camille studied Textile Design at the University of Brighton. "Her signature Tribal POP style presents a boundless energy that works perfectly for show-stopping and social spaces - “the bigger the better”." I like her work on the interiors and exteriors of buildings, but Camille also has work plastered on coffee mugs, clothing, and accessories, which are equally fabulous. I want an iPhone case personally. Not only is her work visually inspiring, Camille incorporate positive messages like "Play More," "Living the Dream," and "Smile Often."